– Awarded General Manager Northern Railways’ Best Physician’s award for outstanding performance for the year 1996-97. – Awarded travel Grant by International Society of Nephrology to present papers in XIVth International Congress of Nephrology at Sydney, May 24th to 29th, 1997. – Awarded travel grant by International Society of Nephrology to present papers in XVth International Congress of Nephrology at Buenos Aires, May 2nd to May 6th 1999 to present research papers in the congress. – Awarded Scholarship from the International Society of Peritoneal Dialysis (FISPD) for 3 months training in advanced techniques in CAPD and other therapies at the Toronto Western Hospital, Toronto, Canada from March to May 2000. – Awarded fellowship of International Society of Nephrology(FISN) to train at University of Missiouri, University Sciences Center, Columbia ,USA from May 1st to June30th , 2002. 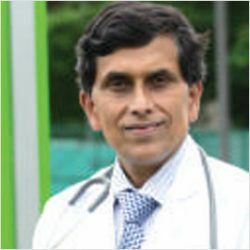 – Awarded travel grant by International society of Nephrology to present research papers in XVIIth International Congress of Nephrology at Berlin, Germany in June 2003. – Delivered oration in the annual meeting of Nephrology Society of Thailand on August 6th 2004 at Bangkok, Thailand. – Awarded travel grant to present original paper in Inaugural ISPD-EUROPD 04 conference on peritoneal dialysis in Amsterdam, The Netherlands from Aug 28th to 31st 2004. – Awarded travel grant to present my paper in the 3rd WCN congress at Singapore from June 26th to 30th 2005. – Awarded scholarship to attend Post WCN Satellite Symposium at Singapore from June 30th to July 1st 2005. – Awarded Fellowship of Indian College of Physicians (F.I.C.P) in Jan 2006.